Welcome to 2012 Summer Book Trek! Who: Calling all fiction readers!!! (If you’re under 18, you have to have your parent’s permission.) You do not have to be LDS to participate. Set your goals and track your progress. No goal is too small; no ambition too great. Feeling overwhelmed? Make a short list. Finish early? Add more books (or not). Change your mind on a title? Drop it. No pressure, no minimums. Make changes to your list as desired. Earn points throughout the month. More points = more chances to win books! 1. Post your reading list on your blog*. 2. Join up using the Simply Linked form below. This lets everyone know you’re playing along. Join anytime between now and August 25th. Put your name in the Link Title field. Include your email address so I can contact you if you win a prize. Link to your reading list. 3. Rack up the points to win prizes! Why: We need a reason to read?!? Says who??? Prizes: Prizes will be books (print and/or ebooks) provided by LDS authors, their publishers, or others. Prizes will be shipped/emailed to the winners by the sponsor. Some prizes may be limited to U.S. addresses, depending on the sponsor. 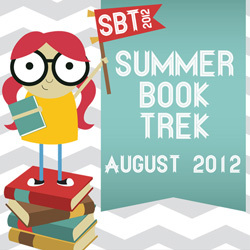 Spread the word: Let your blog readers know about SBT12 so they can join the fun with you! (Bonus points for blogging, facebooking & tweeting.) Click here for blog buttons. Okay, that’s it. Go post your list and let’s get reading! *Don’t have a blog? I twisted the arm of a friend of mine and she created a blog that you can use to play. Simply e-mail your list to her and she’ll post it and link you up, making you eligible for prizes. Woo-hoo! I’m first on the list! Oops, my son started finishing his books before August. Will he have to read them again to collect the points? T, if he started the book after I posted about the contest (7/23), I’ll accept them for the points. If he started before then, no. I love how flexible this reading challenge is. It’s going to be lots of fun! I’m excited for this challenge! 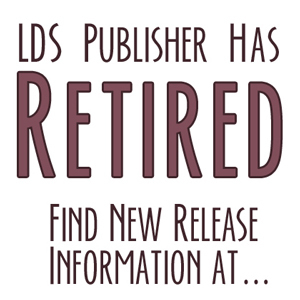 I had several books by LDS authors on my to-read list, and they just got bumped to the front. I added a few more that looked fun and am ready to get started. Luckily I already have one in audiobook format. Previous post: Summer Book Trek: Rack Up the Points!